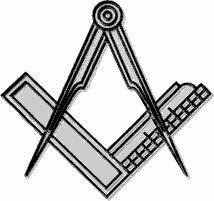 Freemasonry is one of the world’s oldest and largest fraternal and charitable organisations. It is not religious and it is not political; in fact, these two topics are banned at Lodge meetings! Freemasonry is a society of men concerned with moral and spiritual values. For some, it is about making new friends; for others, it is about setting a moral code of behaviour; for many it is about charity and helping others whether Masons or not. Enjoyment: First and foremost, we become Masons and remain Masons for the enjoyment it brings. No doubt in different ways to different members but it brings a uniting bond of friendship. Self-improvement: I have seen young men become Masons with few social skills and lacking in confidence who have developed those skills and grown in confidence as a result of their membership and the friendships they have made. Charity: Masons support a wide range of charities. Recently, London Freemasons have raised £2.5 million to buy a CyberKnife machine for Barts Hospital; they are presently collecting for the Royal College of Surgeon research fund and many of the lifeboats operating around our coastline were bought from Masonic funds. You can learn more at www.ugle.org.uk.